Branson is one of the most popular vacation destinations in the U.S. for families, and the impressive selection of pet friendly resorts in Branson also makes it a great getaway for families with pets. You don't have to leave your beloved pup at home when you head to Branson, Missouri for a fun-filled family vacation. 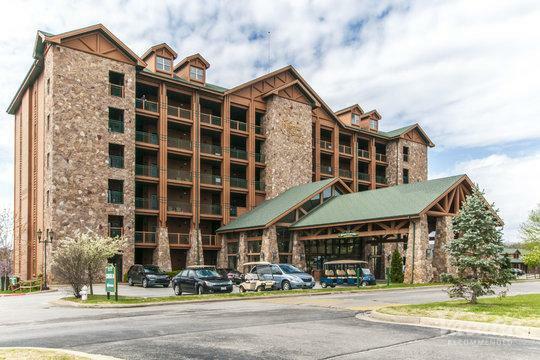 Instead, you can work with Vacatia to browse the pet friendly hotels in Branson until you find one that perfectly matches your family's needs. Vacatia can help take the stress out of planning your family vacations, because Vacatia provides its customers with simplifying search tools and an attentive Guest Care team that strives to find you the best vacation rental possible. When you book your Branson accommodations through Vacatia, you can spend less time scouring through hotel options and more time researching the fun activities and adventures that await your family in Branson. Branson has been a beloved destination for outdoor lovers to live entertainment fans for decades, and it hasn't lost its charm one bit. 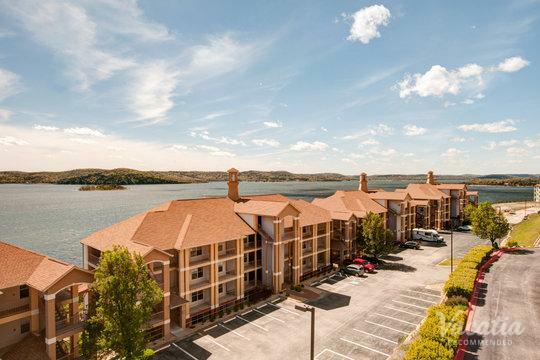 This vibrant Missouri town provides the perfect home base for families looking to explore the great outdoors, as Branson is situated near countless lakes and nature parks. 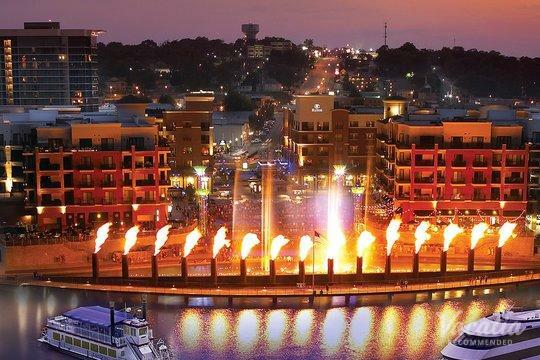 The town of Branson also provides plenty of things to do and see for families, including amusement park rides and quality live entertainment. 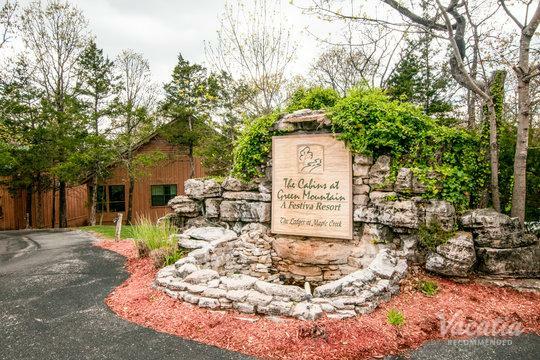 There is no doubt that Branson is suited perfectly for a family getaway, which is why there are so many Branson dog-friendly vacation rentals to choose from during your stay in this Ozarks town. Bring your entire family - loving pets included - to Branson to enjoy an action-packed vacation. To book a spacious, quality vacation rental in Branson, rely on Vacatia, which offers fantastic family-friendly vacation rentals with extra living space and home comforts, such as a fully-equipped kitchen. Vacatia is sure to find the perfect vacation rental for your family's needs. Every year, families head to Branson, Missouri to enjoy the beautiful natural setting and the infectious energy of the town. Located in the Ozarks, Branson is surrounded by picturesque natural landscapes, which means that you and your family can spend your days conquering pristine hiking trails or fishing at Table Rock Lake. After your time soaking up the majestic natural beauty, you can head into town to experience great live entertainment, roam through one of the many fun museums, and even boost your adrenaline on a roller coaster. Branson has plenty to offer families from all backgrounds, which is why it's consistently one of the most popular family vacation destinations in the country. Branson is not only great for the whole family, but it's also a terrific vacation destination for your pets, which means that you can bring your dogs along to enjoy an unforgettable trip in this Missouri gem. Be sure to book your dog-friendly vacation rental on Vacatia so that you and your entire family can enjoy all that Branson has to offer on your upcoming trip.